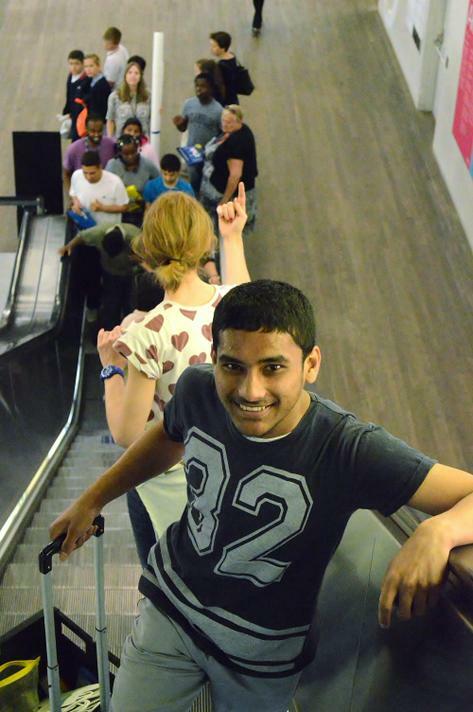 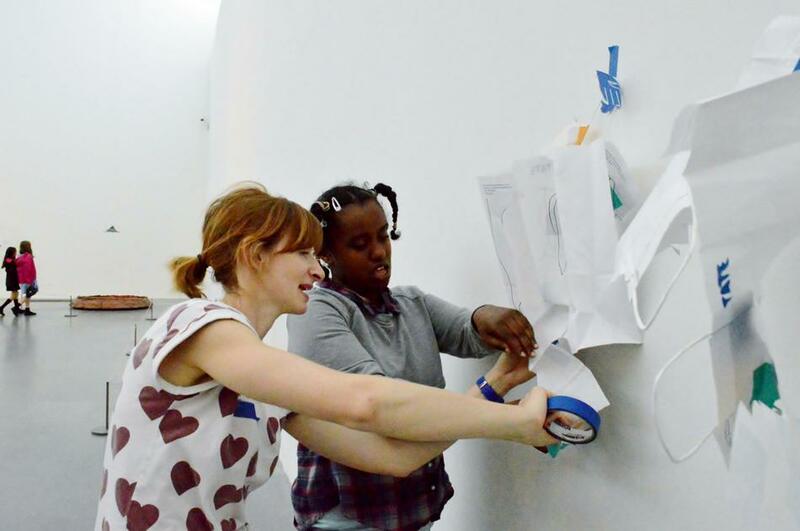 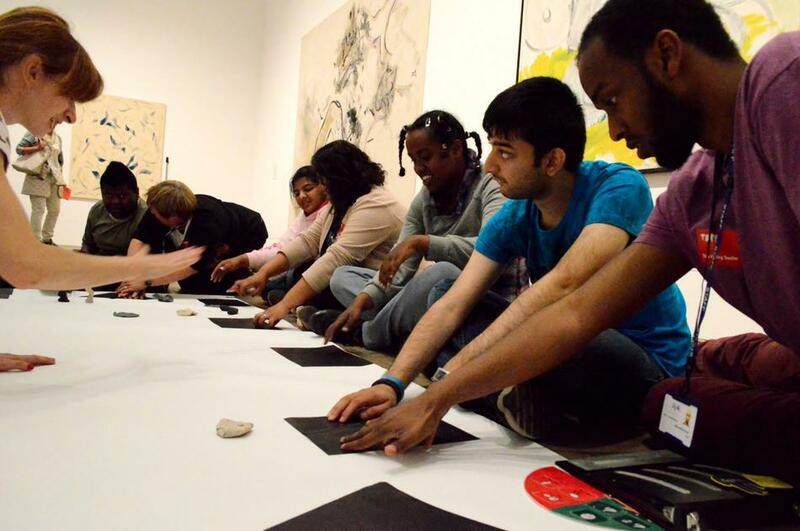 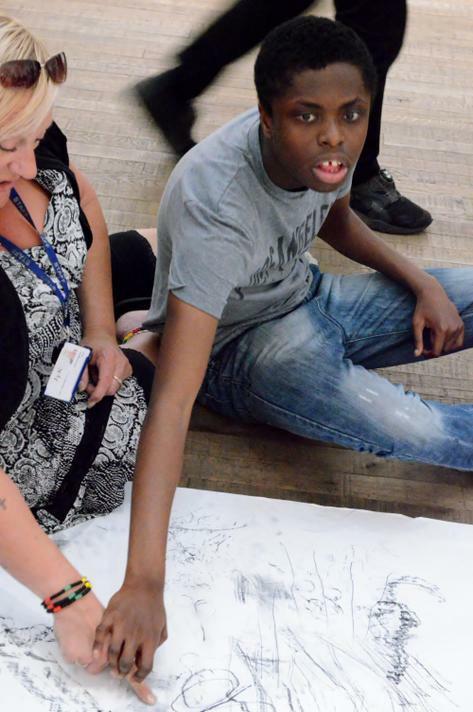 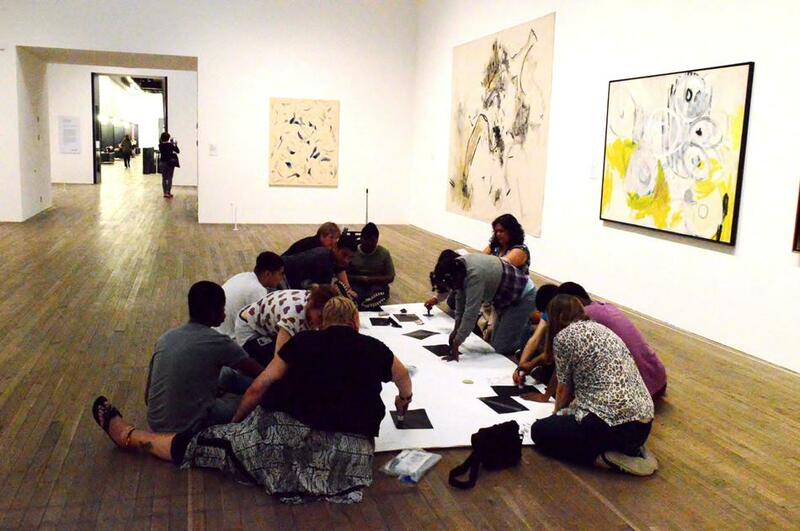 Students went to the Tate Modern on the 9th of June, and participated in a SEN workshop run by practicing artists. 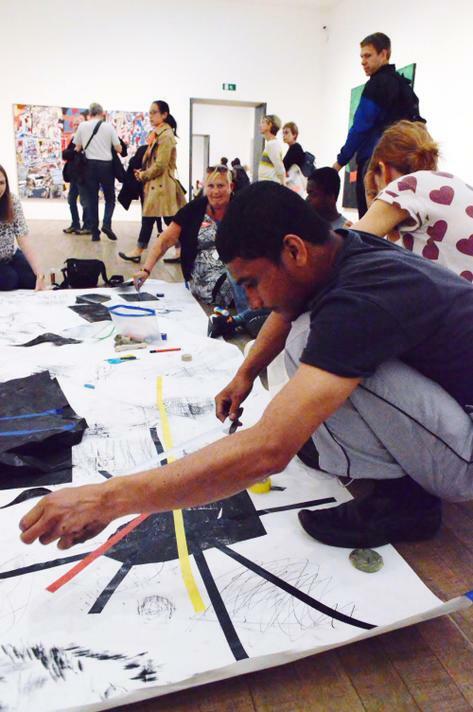 Students used carbon paper on a large white piece of paper, which was masking taped onto the floor, in the gallery. 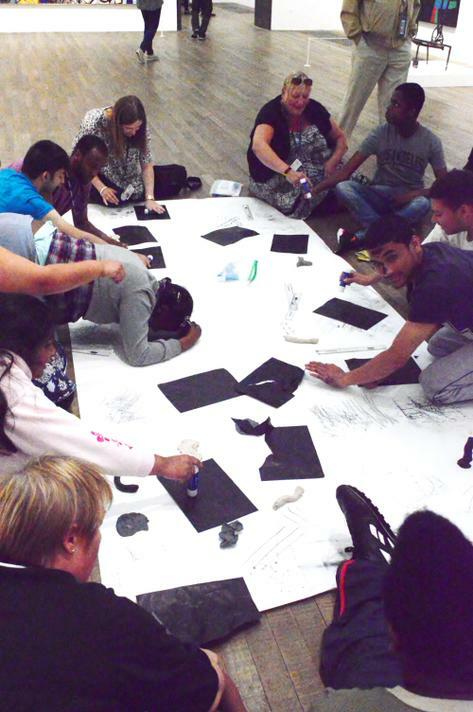 They used art work on the wall for inspiration to create marks on the paper using different resouces such as their elbows, feet, jewellery, rulers and forehead. 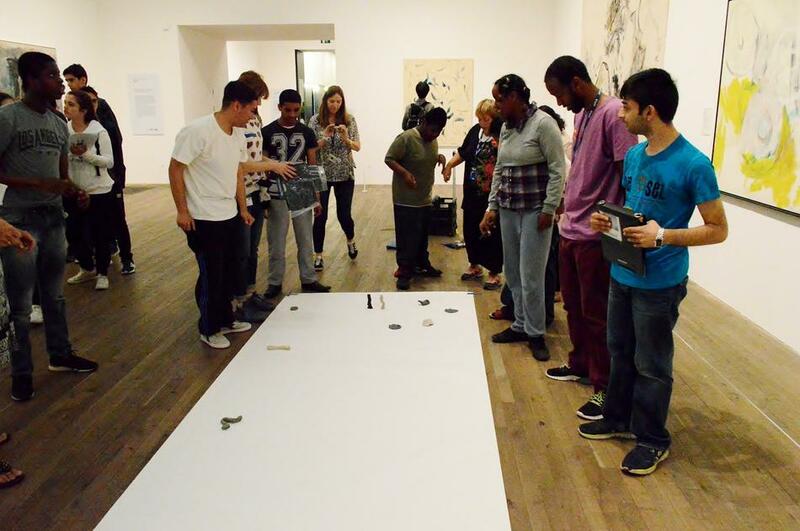 Students really enjoyed working in the gallery space. 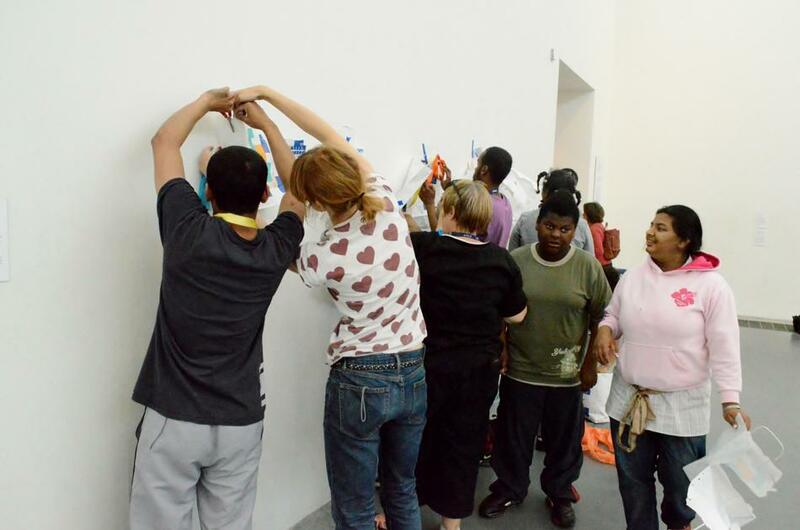 They then carried the piece just outside the gallery and exhibited the piece for a short amount of time. 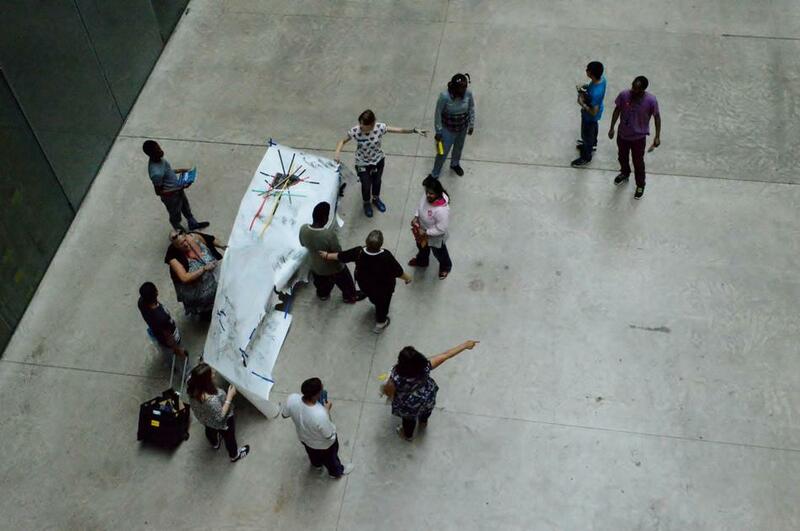 The piece was then taken to the Turbine Hall and exhibited there for a couple of hours. 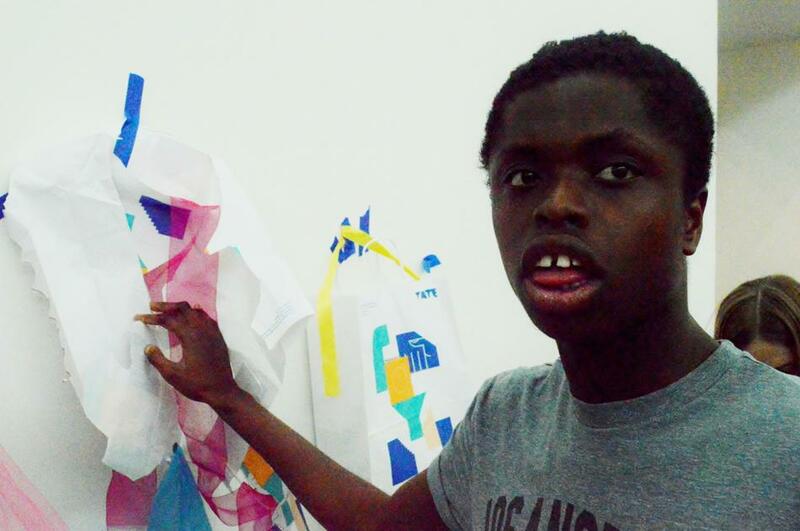 Students in the afternoon worked on drawing shapes, inspired from art work around them, on paper Tate bags. 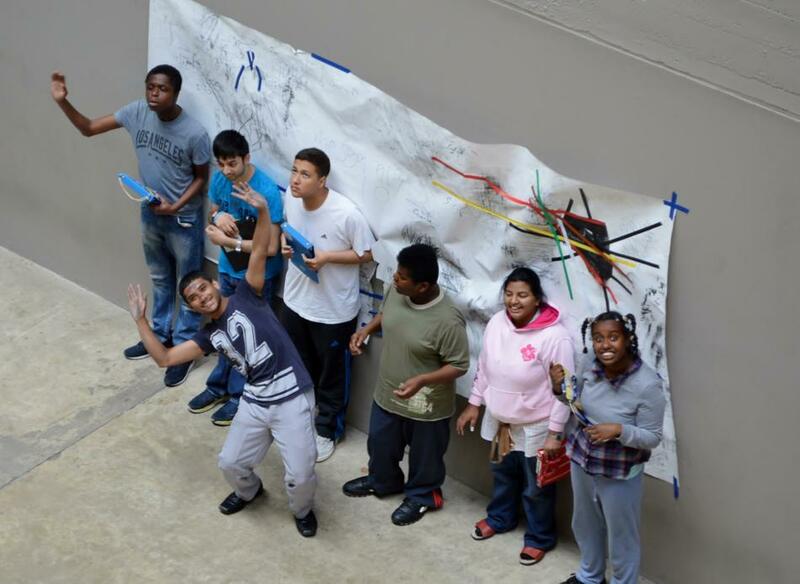 Students then cut into their indivdual bags and then displayed them on the wall. 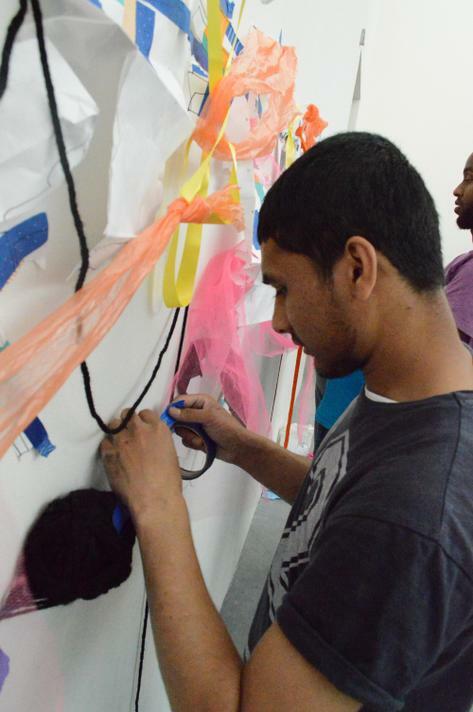 Using fabric, netting, and ribbon to link the individual bags together, students created one large sculpture. 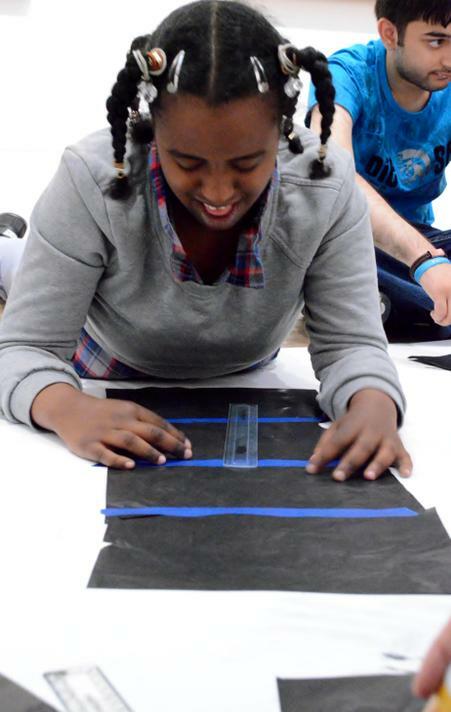 Student then used mircophones, to listen to the different sounds the different materials made. 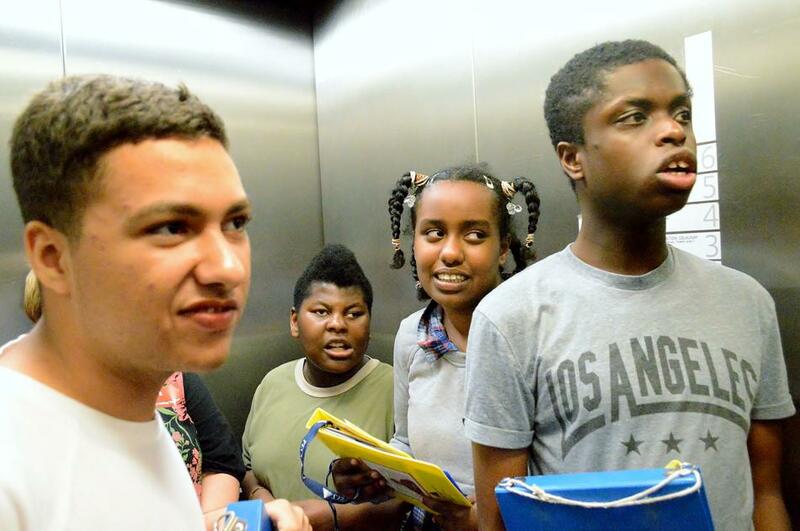 Some students enjoyed speaking/ singing into the microphones. 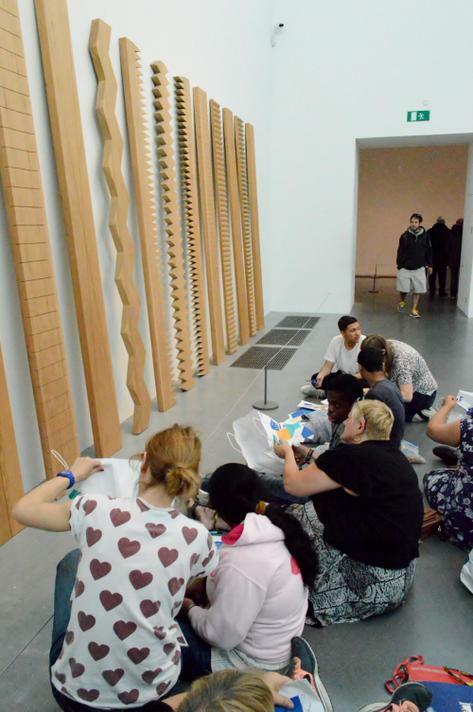 All students benefited from visiting the Tate Modern and working with a practicing artist, and we look forward to visiting again.